The Morley ZX1Se is a single loop analogue addressable fire alarm control panel. This panel is an open protocol type system, which capable of using Apollo, Nittan, System Sensor and Morley IAS protocol loop devices. 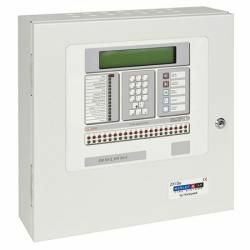 The Morley ZX1Se is a 3rd Party Approved EN54 Compliant Fire Alarm Control Panel. It has been specifically designed for flexibility and ease of use. The panel has in intuative menu structure and is capable of being interface with many types of external systems. The Morley ZX1Se panel has a variety of peripheral options available including printers, external battery cabinets and additional zonal LED boards. If you’re interested in the Morley ZX1Se panel you may also be interested in our Apollo Discovery Detector range.